Explore the verdant gardens of the American Colony Hotel, our unique historical museum in Jerusalem, the stunning Ottoman architecture, and the beauty of our bars and restaurants. Our boutique hotel is a member of the Leading Hotels of the World. 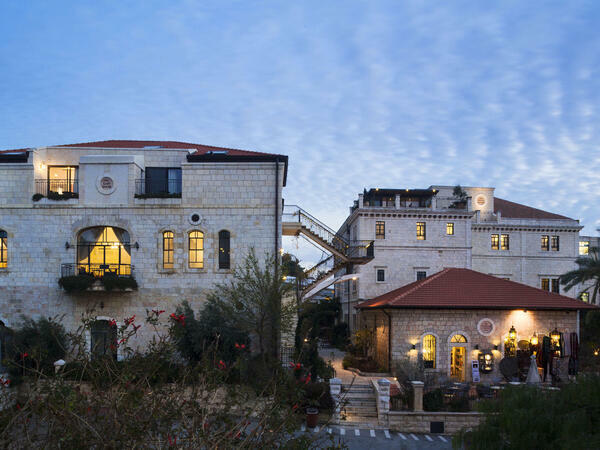 Each of the buildings at the American Colony Hotel in Jerusalem has its own character. The Old Wing was a former Pasha’s residence with a central courtyard and the Pasha’s original sitting room and bedroom, together with his four wives’ rooms, now all available as guest rooms. The East House and Palm House are located directly opposite the main entrance to the hotel andeach feature their own character, stunning architecture with vaulted or painted ceilings, individual gardens and an “oasis within an oasis” of quiet and privacy. The Concierge service at the American Colony Hotel can arrange personalised itineraries to Jerusalme attractions - locally in Jerusalem, or all over Israel and the Palestinian territories. We will gladly also organise local transportation, transfers to airports, border crossings, restaurant bookings, rented limousine service or any other requested service to make your stay as comfortable and satisfying as possible. Looking for a different shopping experience in Jerusalem, Israel? Visit the shops at The American Colony Hotel. Barakat "Antiquarian" - a large selection of antiques, oriental items and carpets. A trove of exotic treasures worth exploring! The Bookshop - immerse yourself in the region’s history, religions and cultures, or select something from the wide selection of contemporary fiction. My experience at the American Colony Hotel was amazing from start to finish. The staff is impeccably kind, knowledgeable, and helpful - the best I have witnessed in Israel and I have traveled the country from nearly every corner. This includes front desk, restaurant, breakfast, and cleaning staff. The rooms were amazing, beds are comfortable, and the bathrooms... let's just say I want to steal that bathroom and bring it home! The pool was great - beautiful, great temperature, good location, great staff (again!). One of the best super luxury hotels in the world. The ancient history and architecture of the hotel is brilliant and magical. The hotel has had world's leading celebrities and head of states who have stayed at the hotel. Words cannot describe the beauty and aura surrounding the space. The suites are large and furniture and interior ambiance had a wonderful old world charm. It's dining restaurant, the cellar bar, open courtyard, swimming pool spaces are exquisite and experiential. This is a top notch hotel, with amazing decor and full of history. Magnificent garden and decoration of the finest quality. Our room was spacious, classy and quiet. 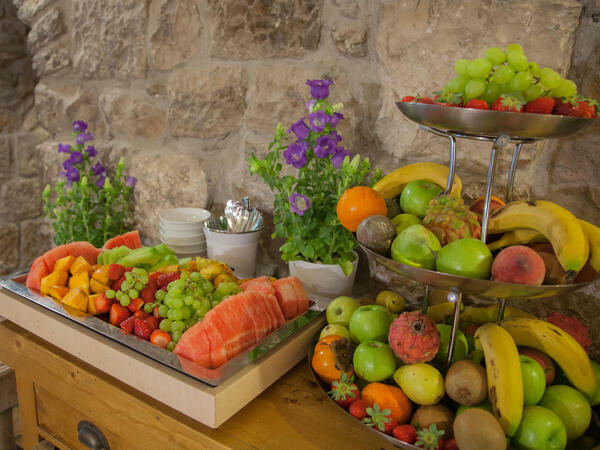 We liked the little attentions offered every day (fruits & sweets). The breakfast buffet was delicious and very varied. All products are perfectly cooked and fresh. We spent two evenings in their cellar bar had great drinks and good food as well. The gym is perfect with the best equipment and even instructions how to use it. As for the staff, they made us feel special and were professional, friendly and so kind. This stay was like a dream, it remains one of the best souvenirs we've had from our ten days holidays around Israel. The American Colony is one of the best hotels in which we have stayed during many years of travel—and we have stayed in some of the world’s best hotels. It is more than just nice accommodations—it has charm, coziness, great food, friendly service and the hotel’s clientele seem like family. 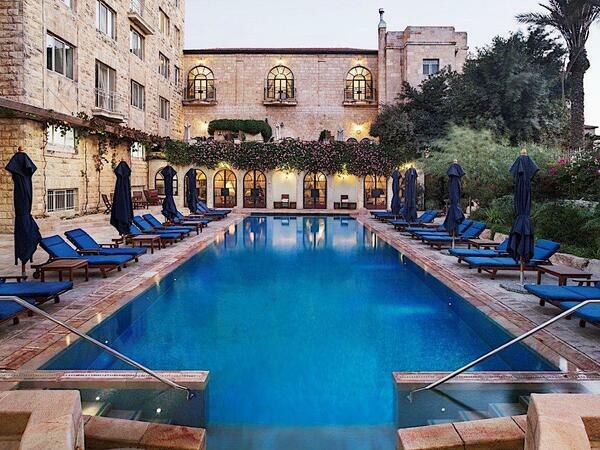 We wouldn’t stay in any other hotel in Jerusalem. Have stayed at other excellent hotels in Jerusalem, but American Colony is in a class by itself. Staff is professional and kind, wonderful people. Hotel is beautiful and quiet. Now a must stay for me when visiting Israel.